Yogandha Oils is a company that creates handmade, beautiful herbal roller-balls and herbal full-body oils, that are full of natural and healthy ingredients. Not only can the oils be used before and after yoga practice but it can also be used for non-yogi's like me, it is a beauty product that is good for you. And they smell amazing with scents like lemongrass, juniperberry and lavender ! 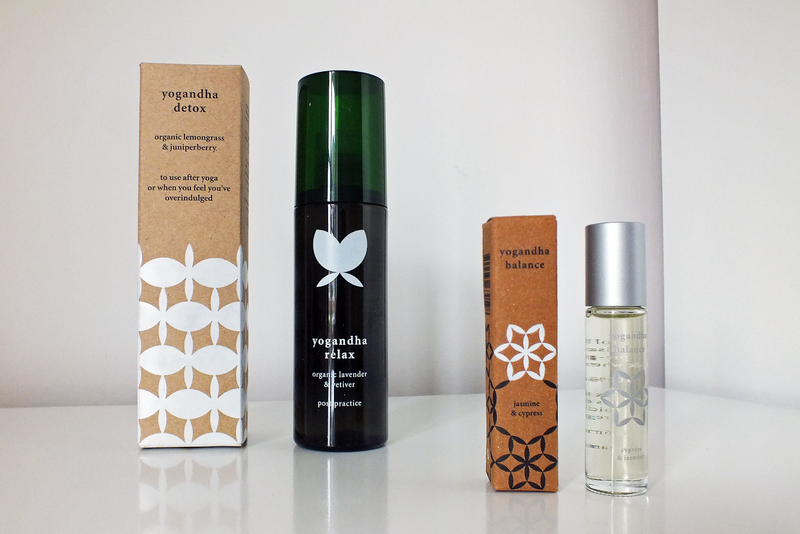 You can find Yogandha Oils in Harvey Nichols, Antropologie and Liberty Nationwide. I have been using the products for over a week so continue reading to see my review and thoughts! The products I have been using are the Detox Organic Lemongrass & Juniper-berry Body Oil and Balance Jasmine & Cypress body roller-oil. I love using them after I've showered or bathed, especially before bed or when I've finished bathing. The olfaction (smell) has an effect on the heart-rate and the nervous system. Crazy right?! You can read the How It Works page on their site to get the science behind it. I adore the smell and using the products makes me feel 100% better and I trust it more as it contains natural ingredients. There's something about organic products that boosts your motivation to be healthy too, or maybe that's just me. I've been massaging the body oil in to my skin to purify and detox my body. It cleanses your pores, reduce swelling and blotchiness and reduce water intention too. It's crazy how many things it can do.Another thing I love is how I usually suffer from dry skin and since I started to use the oil it's completely gone! I put the Balance Roller-Ball on the pulse points on my body and this is suppose to help with hormonal balance! I've been struggling to sleep recently and having an balance helps this. It smells amazing and I always feel natural and hippyish, if that makes any sense? If you're looking for an organic, vegan, natural way to cleanse and look after yourself. Yogandha Oils is a necessary in my book! And if you're a Yoga Practitioner, it's something you could definitely look in to. My Dad and younger brother actually do Yoga (it's really cute, my brother; not my dad!) and meditate so I'm going to suggest them to use it too. You can find Yogandha Oils in your local Harvey Nichols, Liberty London, Anthropologie or Liberty Nationwide store. Or you can find them on the Yogandha website by clicking here for the body oils or here for the roller balls! Have you ever tried natural body-oils or roller balls before? They sound amazing. I have never tried these in roller-ball form. I might just have to try the lavender! The body oil sounds so amazing!!! I want to have a try! !